Lord Rayleigh working with argon, as depicted in a caricature published in the British weekly magazine Vanity Fair in 1899. 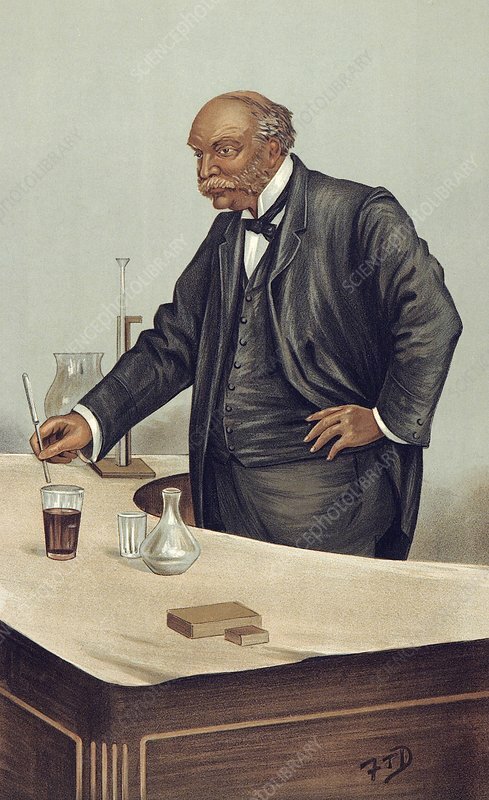 John William Strutt, 3rd Baron Rayleigh (1842-1919), was an English physicist. In 1894, with Scottish chemist William Ramsay, he isolated the noble gas argon from the air, an achievement for which he was awarded the 1904 Nobel Prize in Physics. Strutt also discovered the optical phenomenon now called Rayleigh scattering. This phenomenon explains the diffuse sky radiation that causes the sky's blue colour. From 1905 to 1908 he served as President of the Royal Society. Artwork by F. T. Dalton ('FTD').